Konin Poland: Our customer is one of the leading engineering and construction groups in the world. Providing EPC and EPCM services in a variety of industry sectors, including oil and gas, environment and water, infrastructure and power, our customer inquiry in this instance concerned the commissioning of a new power plant extension. 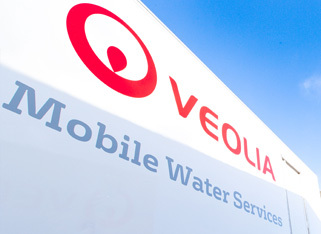 Veolia’s Mobile Water Services received a request from a customer to supply 800 MW extra high pressure boiler for a plant extension. The contract was based on an full service and mobile plant supply. Due to the fact that the surface water was from a lake located nearby the coal boiler plant Veolia had to resolve two main difficulties in terms of pre-treatment: 1) seasonal summer bacteria growth, high solids and iron raw water content at the date of planned commissioning 2) the high net flow capacity rate of 120 m3h either 175 m3 /h during the beginning of the project.